Join us in congratulating Ola Svensson! 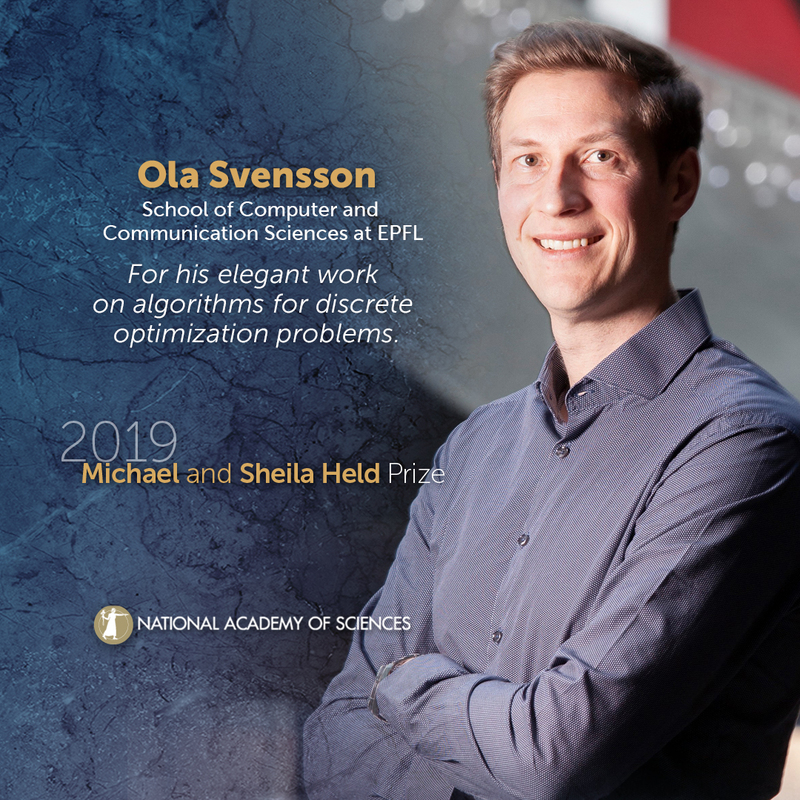 Ola Svensson, School of Computer and Communication Sciences at EPFL, will receive the 2019 Michael and Sheila Held Prize. Svensson has delivered a series of groundbreaking new algorithms for the traveling salesman problem, one of the most heavily studied and important questions in theoretical computer science. The traveling salesman problem seeks to determine the shortest possible route for a person to take while visiting a given number of cities and returning to their point of origin. First posited in 1930, the problem is considered a benchmark in optimization. In 2011 Svensson authored an award-winning new algorithm for the symmetric traveling salesman problem that developed breakthroughs in computational optimization and graph-theoretic algorithms. Svensson also presented a new approach for the asymmetric variant in 2015. Two additional co-authored papers followed, culminating in the first constant-factor approximation guarantee and collectively contributing several new ideas to the field of combinatorial optimization. Svensson’s work outside of the traveling salesman problem has contributed additional new ideas, most recently moving forward on derandomizing a probabilistic algorithm that has been a major focus of research for nearly three decades. Please use the following sample social media posts and other materials to congratulate Ola Svensson.